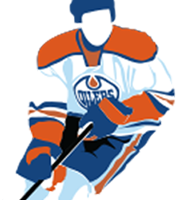 So much has happened with the Oilers this off-season, they finally have a competent management group and coaching staff, they’ve drafted the best prospect in the past 30 years in Connor McDavid, and brought in Cam Talbot, Griffin Reinhart, Andrej Sekera, Lauri Korpikoski, Mark Letestu and Eric Gryba. Think about that. Crazy. This entry was posted in Line Combinations, Offseason Predictions, Uncategorized and tagged Draisaitl, Eberle, Hall, McDavid, Nuge, Oilers on July 29, 2015 by jtunnicliff.